Voice Over Talent and Commercial Voice Over for your production. Contact us today for professional Voice Over for your next Film, Radio or TV Commercial. Commercial Voice Over, Radio Imaging, Animation Voices / Character Voice Actor, Movie Trailer Voice Over, Narration, Network Promos, Automotive Voice Talent, IVR Voice Talent / Message on Hold Voice Over Talent. Voice Actors and Professional Voice Over from Voice Over Artists. 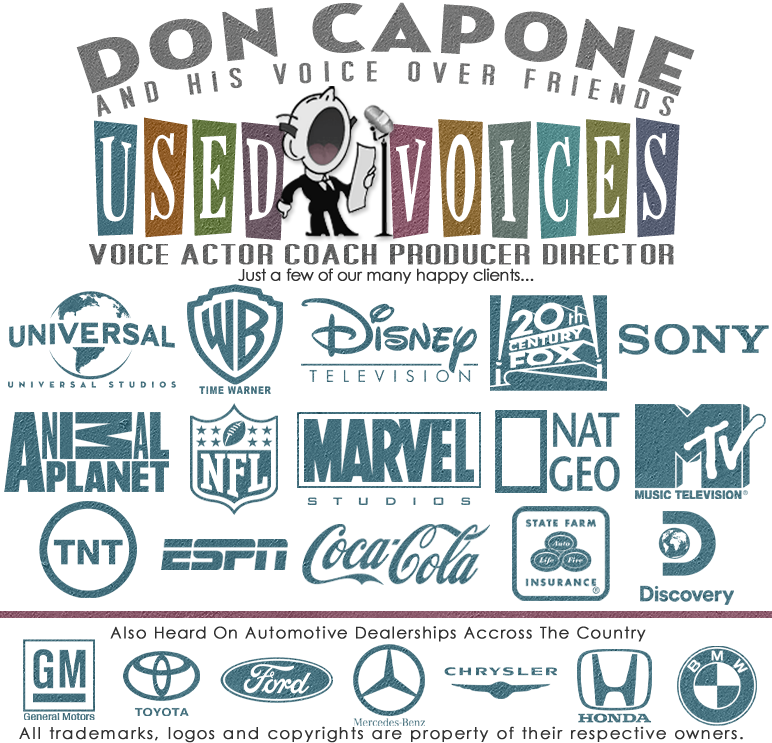 Find Voice Over Talent for Radio Commercials, TV Commercials, Movie Trailer Voice Over, Documentary Narration, Automotive, Video Game Animation Voices and Cartoon Voice Over.